Eventually you’re bound to develop some wrinkles, but there’s some good news: You don’t have to live with them. Here are a few tips from experts on how you can remove wrinkles and strengthen your complexion. Collagen is the protein that’s responsible for keeping your skin firm. Its level starts dwindling when you enter your teens, but this typically goes unnoticed until you’re in your late twenties. A combination of genetics and skin care play a huge role here. Wrinkles usually start in those areas where your skin moves the most because this movement weakens the area over time (e.g. your forehead, mouth). Most of these areas are about 40% thinner than the rest of your skin. To remove wrinkles from around your eyes you’ll need to use a retinol eye cream nightly. Strengthen and tone your face like you would the rest of your body. Gua sha is a facial massage during which a flat stone is glided along your jaw, cheeks, and forehead to stimulate, lift, and sculpt these muscles. You should incorporate this into your morning facial routine daily. Pull moisture into your skin by using a hyaluronic acid serum. This will also plump your skin, filling in creases and marks. Put this on under your moisturizer to seal in its hydration-boosting powers. Your moisturizer should contain Vitamin C because it’s an anti-aging superhero that will fend off any daily damage your skin experiences from wrinkle-accelerating free radicals. Don’t go to bed with your makeup on because this clogs your pores, inflames your skin, and accelerates the aging process. Don’t use scrubs, peels, and toners that are meant to remove your face’s dead skin more than three times each week. Doing so makes you more prone to wrinkles. Something most of us don’t think about is how we use our phone, yet we spend so much time on them every day. Stop looking at it in poor lighting because this is causing you to squint, which will speed up the formation of wrinkles. While you may want to remove wrinkles, you don’t want to become obsessed with it. Just like weight loss, it’s possible to hit a plateau. When this happens, you will want to switch up products then give them three or four weeks to see any improvements occur. Whatever you do, you don’t want to completely stop working on your skin. You need a health mindset and a consistent routine. You also need to eat well, get enough rest, and incorporate exercise into your lifestyle. 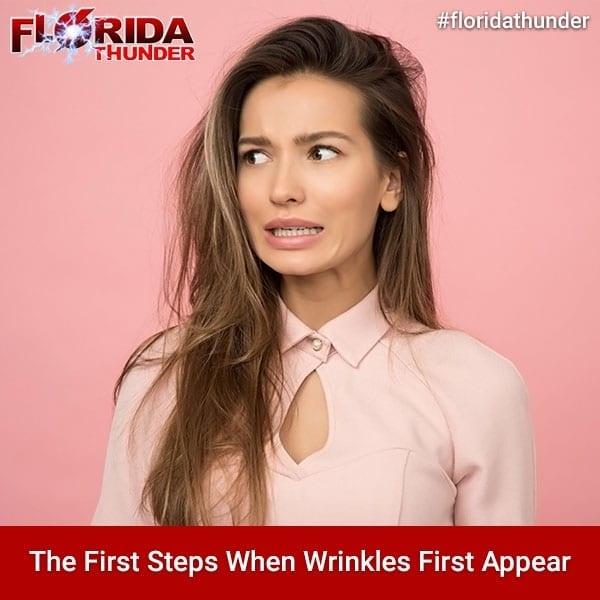 While you may not think these things will help you remove wrinkles, you should know that they will help you look more radiant which also goes a long way in helping you look healthy.